Become a better improvising harpist. Learn basic chords, chord symbols, and harmonic progressions used in a wide range of music, including jazz, folk, and other styles. 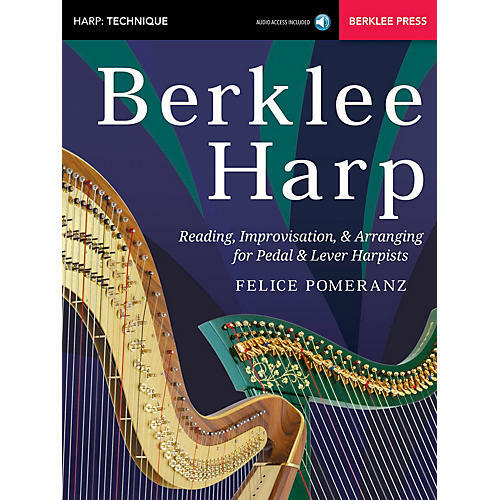 Whether you play pedal or lever harp, this book will help you to explore your personal musicianship and creativity. You will learn techniques for soloing and for accompanying yourself or others. The harmony exercises will help you to master chord progressions in several grooves, practice modulating freely and without fear, and improve your chord recognition and smooth voice leading. The accompanying audio tracks, accessed online for download or streaming, include demonstrations and play-alongs. The audio tracks include PLAYBACK+, a multi-functional audio player that allows you to slow down audio without changing pitch, set loop points, change keys, and pan left or right - available exclusively from Hal Leonard.